Do you like Humming birds, Bees and butterflies in the garden? How about a plant that can take full sun or part shade as well? 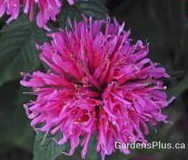 Oh my we are so excited to add 6 more varieties of Monarda/Bee Balm to our Easy care perennial list. You maybe thinking Bee Balm spreads, is really tall and gets mildew! Not these newer ones. They are resistant to mildew and clump. They are also fragrant and don’t need lots of water. The other great thing is they are offering many in shorter heights. Love these new Sugar Buzz series . Varieties like; Cherry Pops, Grape Gumball and many more 14” to 24” high. They bloom in June to July/August so they’d mix in well. For a bright and vibrant addition to any garden. Oh, forgot to mention they’d look great in a container. Yes, perennials in containers too! Just remember to plant back in the ground in September so you can reuse them next season. 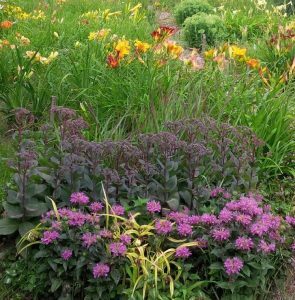 At Gardens Plus we strive to make gardening a pleasure not a strain.